Size General Customization for 3000L*1500W*850H(MM). 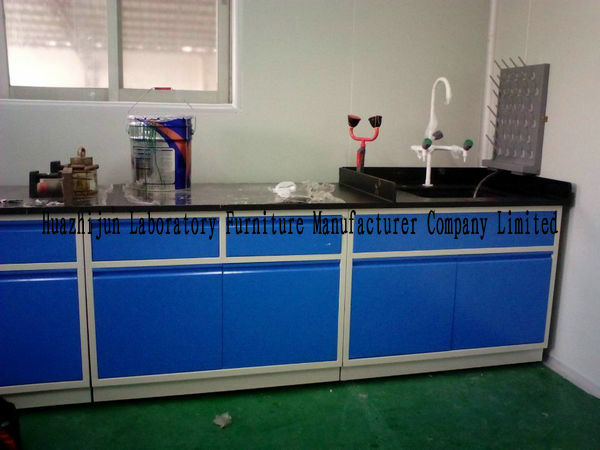 Bench Tops Using laboratory special 13mm solid physiochemical board, double thick edge. Resistance to acid, alkali, corrosion resistance. 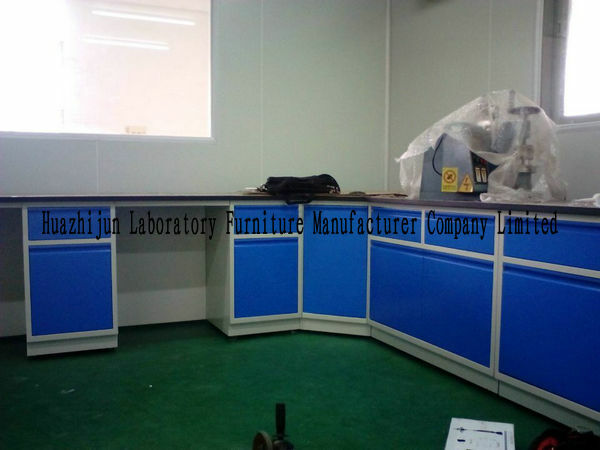 Frame 1.Full steel structure, cabinet with 1.0mm cold rolled steel sheet through integral forming; 2.Smooth, not to hurt the hand,inside a front and a back upright post, with reinforcements, in order to increase the bearing capacity and the cabinet of impact resistance. 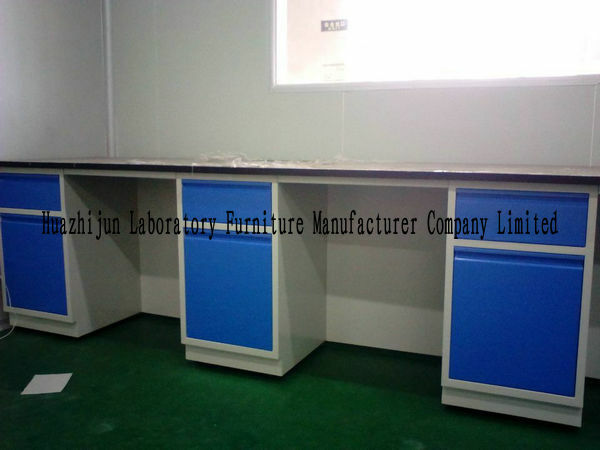 Cabinet Each spare parts according to the different weight bearing with different thickness of high quality cold-rolled steel plate for material, surface after pickling, phosphating, uniform gray white epoxy spray, beautiful appearance, special force position required stiffener, its carrying capacity and anti impact capability can achieve laboratory use requirements. Door Panel and Drawer Panel Using internal and external double-layer structure, the drawer for cold-rolled steel sheet through integral forming, support bearing capacity is strong, After the seal plate bending,connected to the outer panel of the drawer via drilling screws, All blend into one harmonious whole. appearance, elegant appearance. The Cabinet of Bottom Plate Cold rolled steel through integral forming is added in the reinforcement, in order to strengthen its bearing capacity,preventing plate from stress and deformation. Handle According to customer demands with plastic inner concave buckle or alloy matt handle, beautiful appearance, humanized design. The cabinet body can be completely empty opened, not the middle bracket. 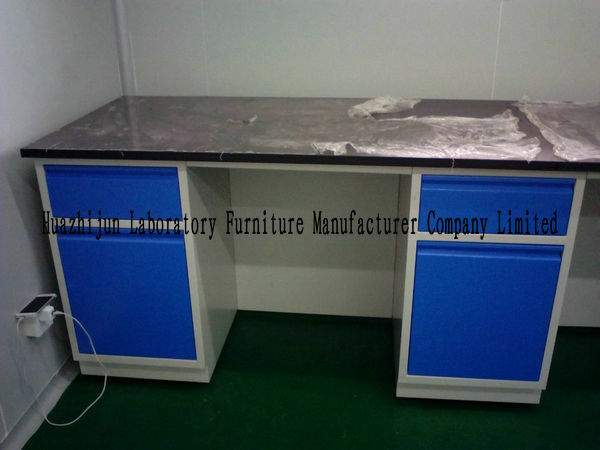 The cabinet with integrated forming active board adjusting device, movable board can be continuously step adjustabled. Door Meader With touch beads, can clamp the door anti-collision glue, prevent shut the door when the drawer collision, wear surface spraying layer and noise. Movable Back Board Using movable type, free disassembly lifting type structure, and is convenient for the maintenance of water, electricity, gas pipelines in use process etc. Movable Laminate Add stiffener, to strengthen its load-bearing capacity, prevent the plate deformation, steel plates with pin, can be freely disassembled, also can adjust the height. Hinges 1750 all open type hinge, corrosion protection, no noise, do not rebound, good strength, not broken, long life and other characteristics. Slide Way Excellent silencing rails, to ensure that the drawer is fully opened, the load-bearing and deformation. The drawer is not only the daily switch without noise, more make the stocky firmly, not easily deformed. Adjustable Feet Free disassembly, step by step continuous height adjustment. Bumper When shutting the door and drawer,to prevent collision,wear surface spraying layer and noise.